$10 Per Pair / Buy any other charger brick or data cable and get both for $15 when you mention this listing. 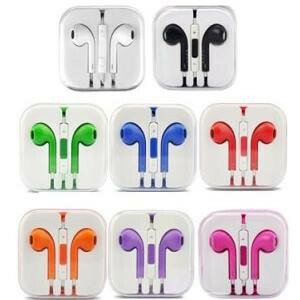 We have a large variety of new and affordably priced earbuds for sale. Please see our pictures for reference on which colors are available. Earbuds are new and in original casing with plastic box. *Please note that the controls and buttons work with apple devices only.